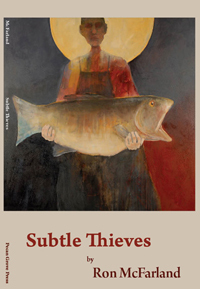 Ron McFarland opens Subtle Thieves with poems of ekphrasis, embellishments upon famous paintings. William Carlos Williams similarly filled out his 1962 Pictures from Brueghel and won a Pulitzer. Subtle Thieves adopts longer lines, though, and (in the mode of so many contemporary poets, e.g., Albert Goldbarth) a discursive manner and tone. McFarland is a writer like no one but himself, though: erudite, wry, and self-deprecating. 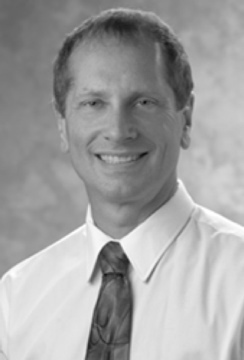 Besides three previous full-length books of poetry, he has also authored The World of David Wagoner (U of Idaho P, 1997) and critical studies of Alexie and Hemingway. Subtle Thieves recalls Blake’s saying, “Without contraries is no progression.” The book jokingly yokes Kandinsky and Grandma Moses, Keats and baseball, John Donne and baseball, scansion and baseball, the gendered West and the New West, Wordsworth and Weyerhaeuser, grapes and gems, Amish culture and punk, shotguns and interior décor. Two of the strongest poems open and close the book: “A Visit to the Art Museum” and “To Extinguish Fire.” Both portray the poet as contemplating aging, tossing a football to a grandkid in the first piece, mulling retirement in the second. In intervening poems the speaker resists the aging process, works to thwart it, positioning himself as a bon vivant and a wag. There are many strong poems in this book. Maybe for that reason I wish it were shorter, tighter, more concentrated, more like a malbec than a merlot. Luscious sonics layer Subtle Thieves. The speaker finds “the spent / balls and blunt lead cones of death” (15) in a Civil War battlefield, “a stiff-legged hick / like Chester” (46) striding the sidewalk. He hears “the brisk tick / of the sprinklers” (53) haunting suburbia, and “that buck-naked / splendid little sack of spuds” (63) in a grandson. Gender often influences poetic sound effects, as Richard Hugo proved. McFarland has embraced the Rocky Mountain West and shares some of his predecessor’s word-music and concerns. In its allusions and its erudition, Subtle Thieves pitches to those who know and enjoy the Northwest and especially the Rockies, their pop culture and material culture, their masculine pastimes and poetic traditions. Paul Lindholdt grew up on Puget Sound but now lives in Spokane. A professor of English at Eastern Washington University, he teaches literature and environmental studies. He has won awards from the Academy of American Poets, the Society of Professional Journalists, and most recently from the Washington Center for the Book for his ecological memoir In Earshot of Water: Notes from the Columbia Plateau (University of Iowa Press, 2011).